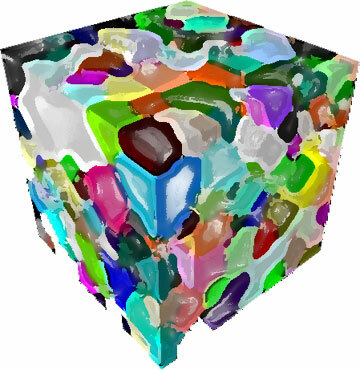 Provide students and researchers with powerful agent-based simulation tools for a variety of phenomena in Materials Science, such as grain growth and solidification. Most commercial simulation packages in Engineering “black-box” their mathematical and physical models. MaterialSim is an attempt to address this issue, with "glass-box" models for crystallization, solidification, metallic grain growth and annealing. In addition, our research has suggested that the agent-based perspective may foster deeper understanding of the relevant scientific phenomena. A core feature of this design is that students, after understanding the very basic principles of the models, were able to apply that small number of rules to capture fundamental causality structures underlying behaviors in a range of apparently disparate phenomena within a domain.